This is the first blog of a six-part series written by David. Each blog will discuss the many forces that emerge which can potentially disrupt the way logistics execution is done. Follow along with us on this six-week journey. The world of logistics is changing rapidly. There are many forces that are emerging which would potentially disrupt the way logistics execution is done. I plan to put my thoughts on six such forces as a series of blogs starting with this first blog on “Blockchain.” Hope you enjoy reading them. Risk in the supply chain was once focused on seemingly simple events like a labor unrest shutting down a port for a few hours, a snowstorm slowing traffic, a shortage of workers during flu season or unanticipated holidays and festivals that shut down global operations. But supply chain risk has metastasized in the past decade. Global unrest and security issues; offshoring; a greater reliance on international trade; a 24/7 approach to supply chain management driven in part by the explosion of online commerce; rapidly changing technologies; generational shifts; global economic issues and cyber threats and fraud; lack of trust in processes have lead to increased risk in the supply chain. Many of us yearn for the old days when all we had to worry about was the rumor of a UPS strike, not the cancellation of international treaties and trade agreements. The need to gain complete control of supply chain transactions has led us in the direction of a key disruption – “Blockchain.” This is a sophisticated and secure digital approach to transactions that were once part of a lengthy, inefficient, and sometimes inaccurate paper trail, quite often done manually and with divergent systems. These inefficient complicated activities would slow down an important shipment by causing interruptions and delays in its journey. The underlying technology of Blockchain allows for streamlining transactions, increasing intermodal communication, and reducing the chance for fraud and tampering. Bits and bytes have replaced winks and nods…and it is working quite well in the logistics industry as well as in other industries like food and pharmaceuticals. Blockchain provides secure communications between manufacturers, logistics suppliers and third-party partners. The overriding strength of Blockchain is in its capabilities of recording every action / movement of a shipment – from a supplier’s shipping dock to the customer’s receiving dock…including all of the intermodal carriers and associated intermediaries. Blockchain essentially creates a ledger of records structured in data groups called blocks, which use secure cryptographic validation to network themselves. Blockchain considerably simplifies the document flow and increases security and the ability to audit. Data is accurate, secure, and transparent as real time information is tied to a specific shipment and is available only to those authorized to view the data and participate in the various stages of that shipment. No one can modify, delete or append any record without the agreement from others on the network. There is no central node. The data is distributed around the network for efficiency and security. Sean Riley, writing in Supply and Demand Chain Executive (9/1/17), says Blockchain will support the increasingly digital supply chain. New technologies, such as the Internet of Things (IoT), 3-D printing and robotics, are fundamentally changing the way goods are produced and distributed. Riley sees Blockchain as a neutral, transparent and unalterable database, living in multiple locations and shared by a community. He foresees Blockchain being applied to global supply chains to facilitate better and more efficient interactions between trading partners. Riley also notes that transparency is an important attribute of Blockchain technologies. International trade payments, tariffs and taxes depend upon precise documentation. When a document is created for an export shipment and sent to a trade bank or government that exact same documentation format and ledger has to be used for the import portion as well. Any discrepancies allow the import bank to withhold payment until the issues are resolved creating delays that will be magnified due to an increasing amount of global transactions. Blockchain driven Smart contracts will be the norm of the future soon. According to Riley, the supply chain is becoming increasingly reliant on digital technology to maintain successful operations due to the regulatory environment, complicated maritime law, and evolving commercial codes. An advantage of Blockchain is that no single company in the chain has control. Each member of the network has far better visibility of the total activity, and, with data being updated in real time, the need for record reconciliation is eliminated. Technologies such as Blockchain will continue to streamline the channels of communication and document flow throughout the supply chain. The benefits of Blockchain in the logistics function are clear. As the technology becomes more widespread throughout the supply chain, more and more companies will need to become active participants. Blockchain saves time and money by strengthening communication, shortening transit times, streamlining complicated paperwork, improving inventory management, and ultimately improving customer satisfaction. In line with this trend, ERP players like Ramco Systems have already developed pilot applications on Blockchain for Logistics Service Providers. The space is getting interesting! In my next blog, I plan to cover the need for BCP – Business Continuity Plan in Logistics, which is a critical aspect for survival in this globalized business world. Feel free to share your comments with me. Thank You. 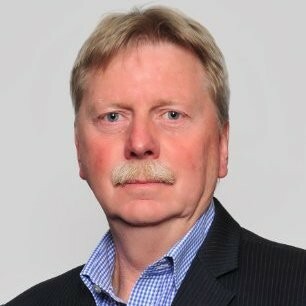 For more information regarding his blogs, please navigate to this page: http://www.iscm.com.au/2017/11/02/six-disruptive-forces-shaping-the-future-of-logistics-force-one/.